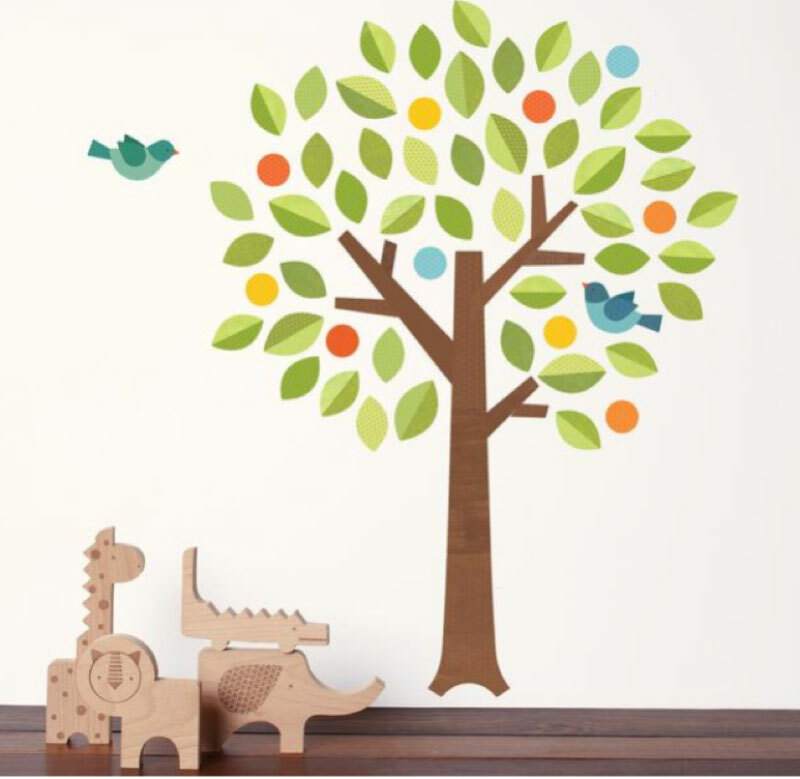 From decorating the nursery to bedrooms fit for playdates. 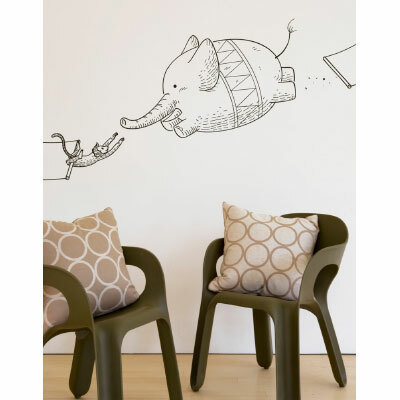 Children’s lives can be filled with chic, creative, inspiring images, mobiles and animals. Here are some of our favorites. Talented artist, Sally King McBride has designed four alphabets which will spark the imaginations of children and adults. 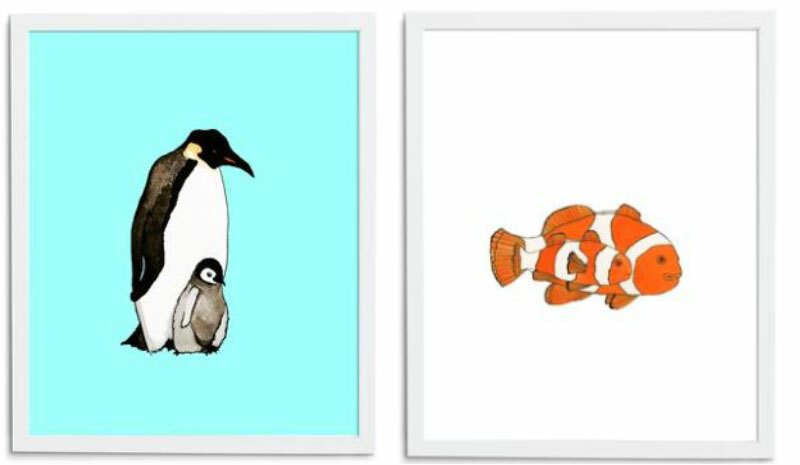 Animals, Circus, Construction and Flower alphabets come in several sizes and are framed or unframed. The Letter’s Nest prints: 16″ x 20” unframed print on white matte paper $65, 18″ x 22” with a blonde or white frame $175. Sally offers children’s names created from any of her four alphabets beginning at $145. She will also create original watercolor bespoke paintings. Artist Nicky Stiffle wanted to decorate her daughter’s room with art which is beautiful, colorful and high quality, but not ‘babyish’. She launched Wee Wild Ones. There are lots of designs from which to choose. We Wild Ones prints: 8” x 10” unframed print is $25, 11” x 14” $45, 16” x 20” $75, 18” x 24” $95. Mats and frames add to the price. Our twin grandchildren sleep under these hand-made, Viola mobiles. There are many styles and each one is a treasure. 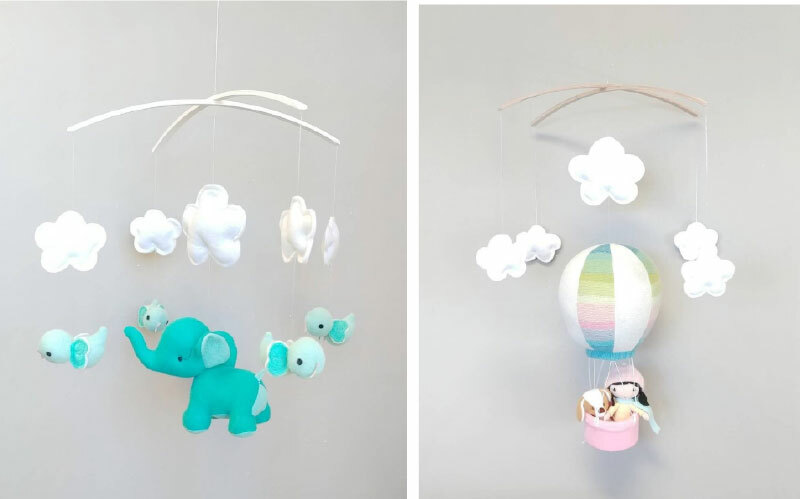 Hand-made mobile, $129. Fiona walker makes these chic, appealing, wall mounted animal heads. 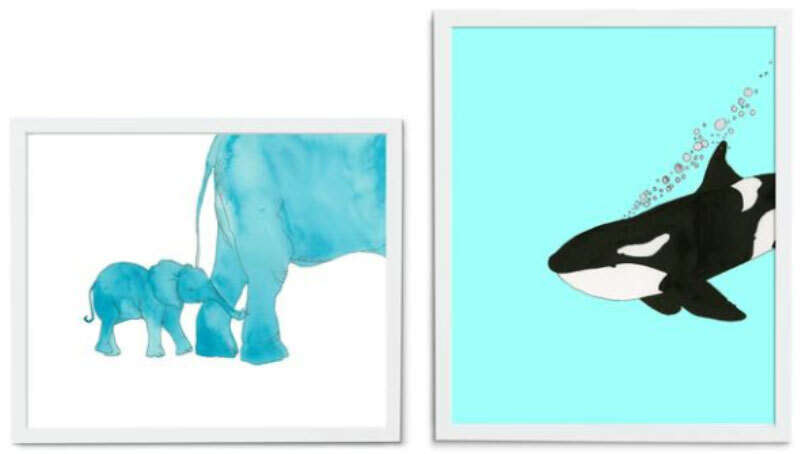 They are a whimsical addition to the wall of any nursery. Made in England. $40 plus shipping. Fiona Walker. You can purchase the giraffe in the U.S. from The Tot. $55.80. Maisonette offers a number of Fiona’s animal heads in the U.S. $49+. 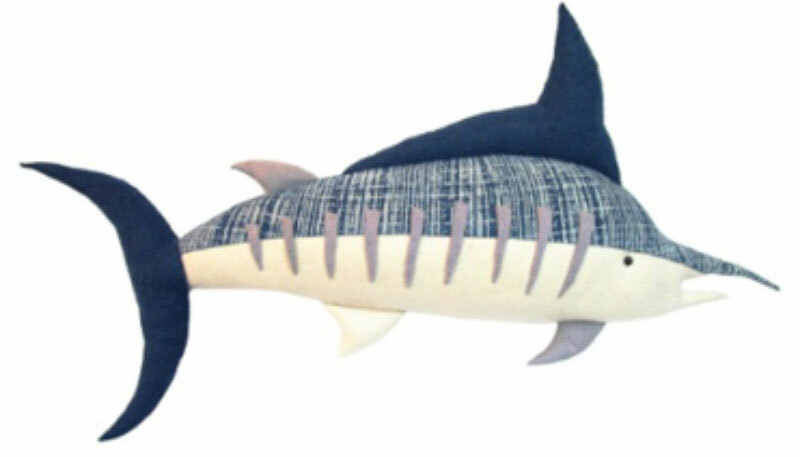 Fiona Walker also makes this ‘trophy’ marlin. $158.40 at The Tot. Children grow up and so do their tastes. 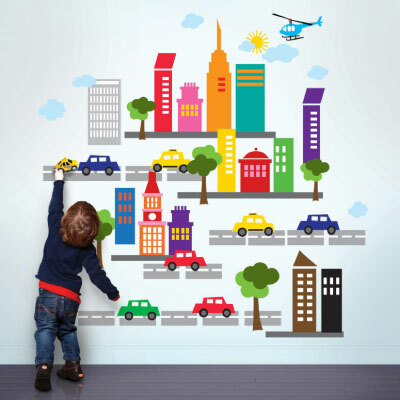 Removable wall décor, stickers make a cheerful – and you can change them as your toddler grows up. 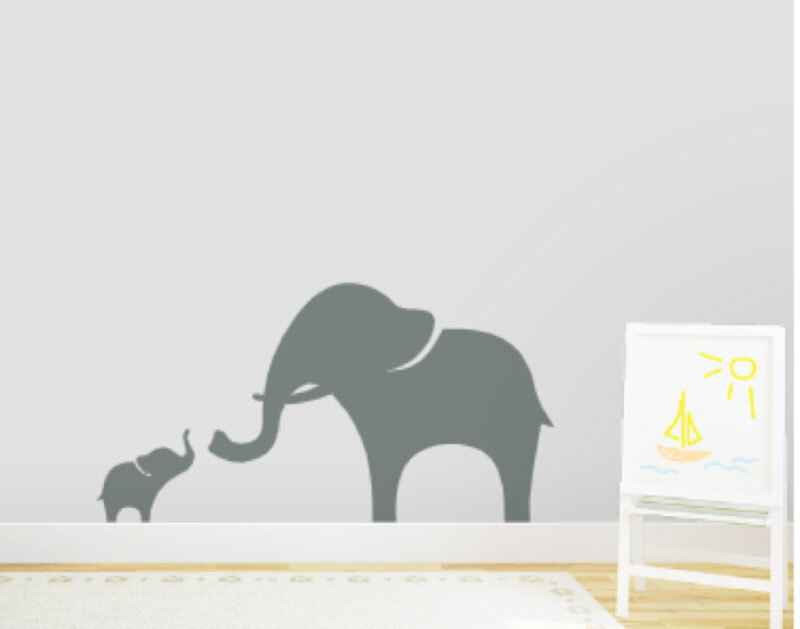 Mama and baby elephant sticker $29.99. Fabric tree and bird decal. $35. 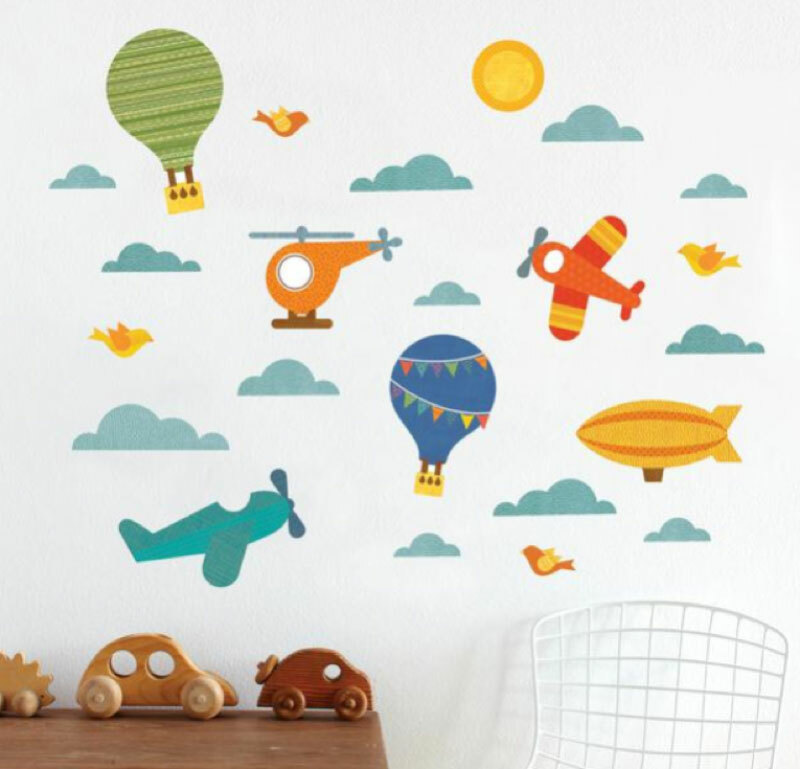 Sky and airplane fabric wall decals. $45. Incredible Circus. 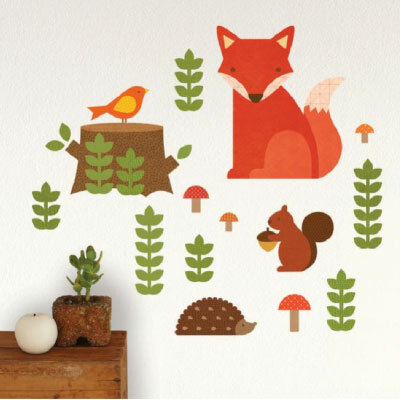 $35.00 Woodland Animal wall decals. $45. 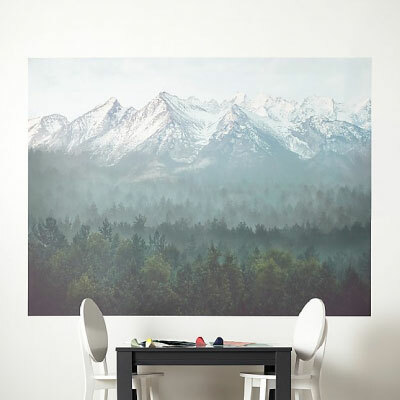 Wall decal for a future mountaineer? $189.